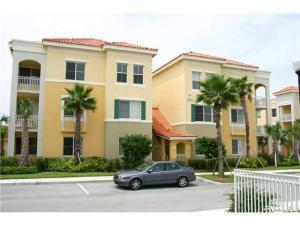 11014 Legacy Drive #103 Palm Beach Gardens, Fl 33410 has been sold. You can view available homes in Legacy Place. THIS BEAUTIFUL 2-BED 2-BATH RENOVATED UNIT SITS ON THE FIRST FLOOR IN ONE OF THE MOST DESIRABLE LOCATIONS WITHIN THE COMMUNITY, STEPS FROM THE CLUBHOUSE. THE FABULOUS DESIGNER KITCHEN INCLUDES AN ONYX-TOPPED ISLAND. HIGH-END CABINETRY & BEAUTIFUL GRANITE COUNTERS ARE A CHEF'S DREAM. FEATURES INCLUDE: 2 MASTER SUITES, THE FABULOUS KITCHEN WITH STAINLESS-STEEL APPLIANCES, A WATER FILTRATION SYSTEM, BAMBOO FLOORING THROUGHOUT, QUALITY WOOD BLINDS, DESIGNER-CREATED BLACKOUT CURTAINS, MASSIVE WALK-IN CLOSETS, AC 4 YEARS, WASHER/DRYER, WATER VIEW, COVERED PATIO, HURRICANE SHUTTERS, ASSIGNED PARKING. COMMUNITY FEATURES: CLUBHOUSE, POOL, JACUZZI, FITNESS & BUSINESS CENTER, TENNIS, PET FRIENDLY, LOW HOA, EXCELLENTLY MANAGED HOA. WALKING DISTANCE TO LEGACY MALL, COBB THEATER, SHOPPING AND CAFES. 11014 Legacy Drive #103 located in Palm Beach Gardens, FL is a condo with 2 bedrooms, 2 full baths and 0 half baths.The Condo at 11014 Legacy Drive #103 was built in 2003 in Legacy Place and offers a 0 car garage. This Legacy Place Condo offers pool, tennis, clubhouse, exercise room, spa-hot tub, sidewalk, business center, manager on site, street lights. 11014 Legacy Drive #103 Palm Beach Gardens, Fl is currently listed for $267,500 under the MLS# RX-10491582. This Condo has been put on the Palm Beach Gardens MLS system and currently has a status of SLD. Legacy Place in Palm Beach Gardens is really a wonderful community in a great city. If you like the beautiful Palm Beach Gardens location but you are not sure about this community. You might like one of the other local communities like Mariners Cove or Bristol Club or Evergrene or Frenchmens Landing or Siena Oaks that are located here.